Sarah gave me free reign to let me do pretty much what I wanted for her prom! So we decided to do a very soft, wearable smokey eye. Taylor may look familiar to you. She is a client that I see several times a year! 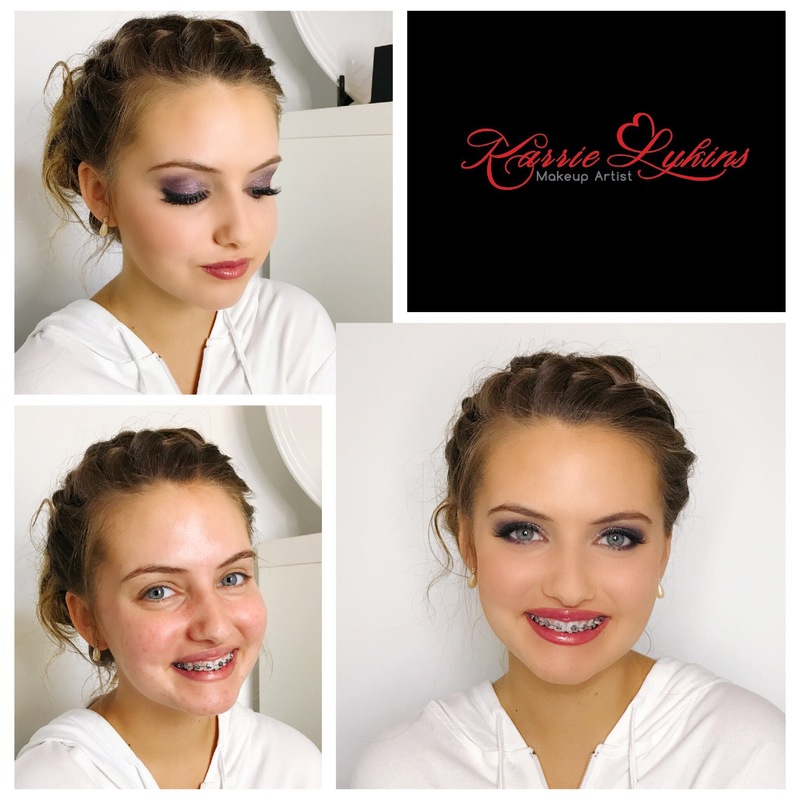 She won her local pageant this year and and has gone to several proms. I love when I have return clients!!! We always do something different and fun when I see her. This year, we went for a purple contoured eye with lots of purple glitter. 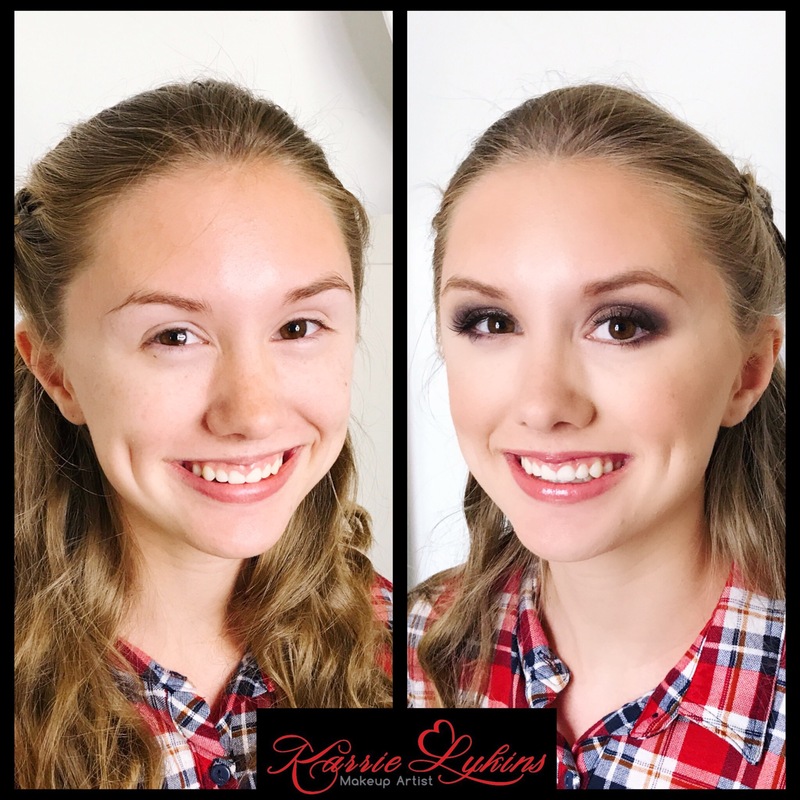 We started with Dinair Airbrushed foundation, Makeup Geek and Urban Decay for eyes, Bare Minerals for contour and blush, Colour Pop brows and Anastasia Beverly Hills Lip. Lashes by Ardell. Katelyn is always open to some fun and dramatic makeup. She especially loves some sharp winged eyeliner! 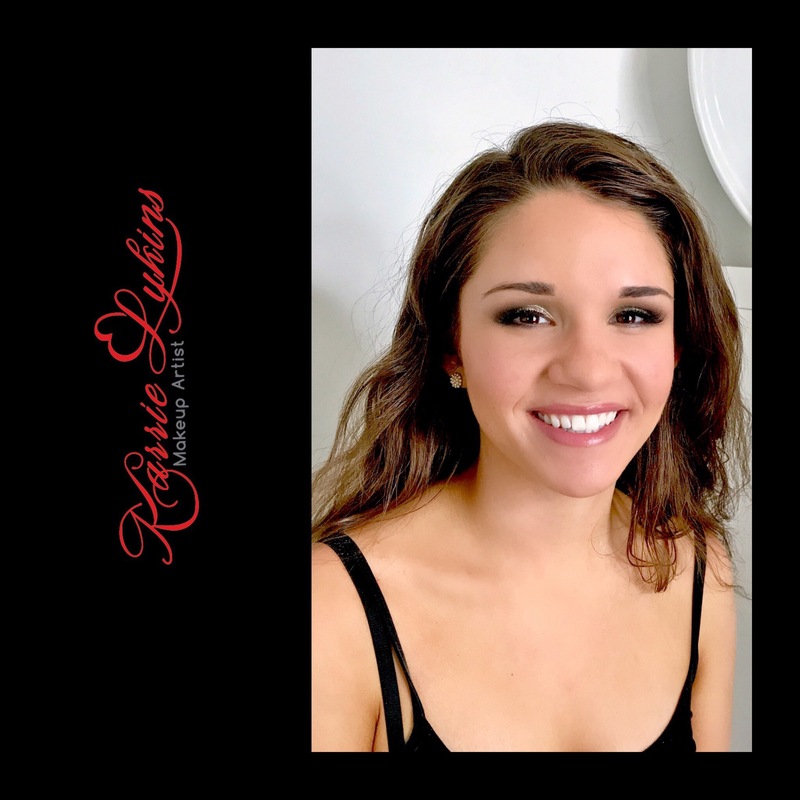 For her senior prom look, I used my airbrush to create her winged liner. Yes, you read that right! Didn’t know you could do that….did you? It is a great way to create some killer liner that doesn’t budge! Kylie and her mom are so much fun to be around and I enjoy spending time with them. 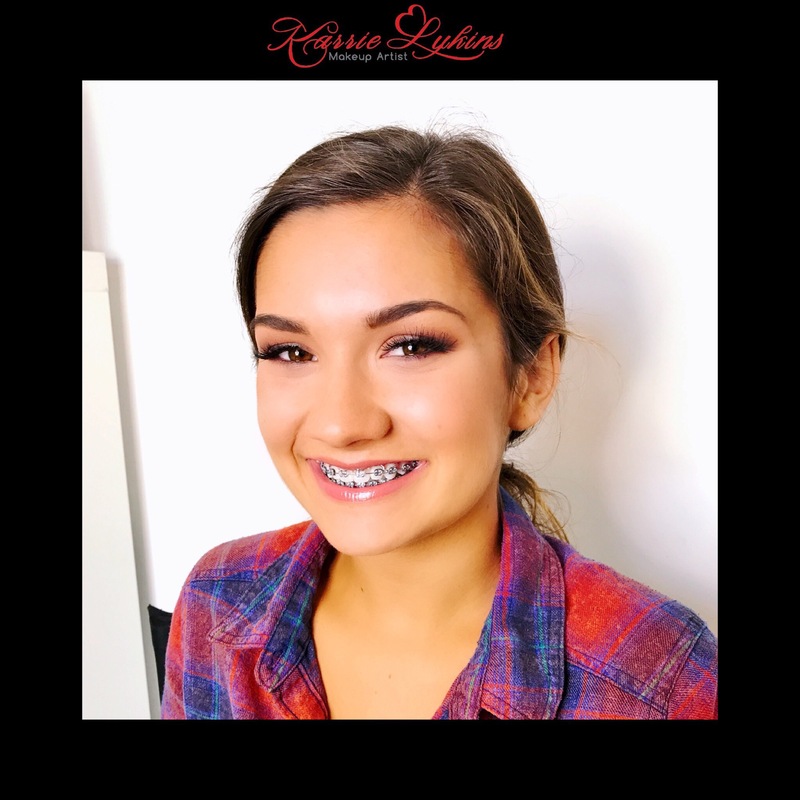 Kylie’s prom dress was beautiful with a floral pattern that screamed spring so we kept her makeup soft and fresh by using colors like dusty pink, browns, melon and of course, some shimmer! Michal is a returning client and I always enjoy seeing her. She always has a smile on her face! 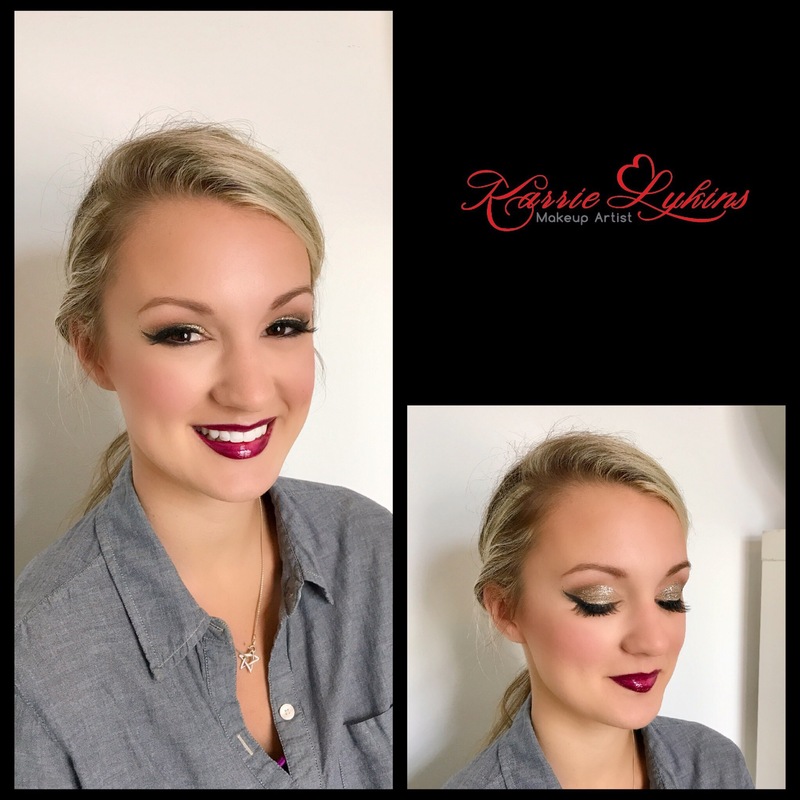 Michal wanted a contoured eye with slight winged liner and just a touch of glitter to set off the shimmer in her dress! I added a bit of deep burgundy to make her eyes pop.